"It was nice working with proper campaign experts"
campaignstars totally gets it. Provide them with your campaign strategy and goals and they will provide you with a full scope of recommendations and program details to attain expected outcomes. They are also very well connected, so when needed they will work with partners to take a basic campaign plan to the next level to optimize return. Their real value add is apparent when you see the results of the creative strategy and timely execution come to fruition. I look forward to working with them again! In all seriousness, campaignstars act like great teammates. They adhere to timelines and ensure they get what they need from you to ensure timely delivery of well thought out campaigns. So, it's a good dislike when an already detail-oriented individual gets reminded by other detail-oriented individuals that details are needed. Involve them as if they are part of your team. The more information they have, the better the project scopes. "Partnered with Campaign Stars to run our Account Based Marketing (ABM)"
They like to say “Forget ABM theory – this is real.” And they’re right. Campaign Stars designed several different ABM plays for us in Q1 alone, including survey-based lead generation and their “ABM for AEs program.” They are right there where the rubber meets the ABM road. From one survey, we created a trend report, ebook, blogs and an incredibly popular webinar. You can always squeeze out more content. They are a somewhat smaller shop. We liked that, but perhaps not everyone will. Highly recommend, do not hesitate to reach out for details if needed. Generating brand awareness, lead generation, creation of premium content for our b2b prospects. "ABM experts at your service!" Campaign Stars are true ABM Experts. They understand how to run successful ABM programs, from targeting the right accounts through developing tailored messaging and generating solid leads for their customers. Their programs truly work for companies large and small. Bonus - the team of experts at Campaign Stars are easy to work with and ultra responsive! Not much to dislike about Campaign Stars. They continue to hone their ABM expertise and deliver added value to their customers. Think of Campaign Stars as an extension of your team - they can jump in and help in so many ways big or small. Want to embark on an ABM strategy and not sure where to begin? Have a specific campaign in mind that you need help executing? Call Campaign Stars! "ABM is not marketing hype"
ABM is not marketing hype – It’s critical to modernizing your marketing strategy across demand gen channels. Campaign Stars not only enables ABM programs tailored to your targets, they also partner with Uberflip to showcase content in a personalized and engaging way – like Netflix for the B2B audience. Together, Campaign Stars and Uberflip kickstart your ABM engine so you’re not struggling with turning buying groups into revenue. No downsides to report. I was very happy working with Campaign Stars. "Campaign Stars Are Excellent Marketing Partners"
They are willing to do just about anything marketing related so no matter what your team currently handles internally, they are a great partner. It is time consuming. They are doing the bulk of the work but a lot of time is needed in initial phases and throughout with editing and giving feedback on assets. Spend a lot of time upfront with the strategy and content plan. The more they understand your product the better the content will be. "Strong suite of services for growing marketing teams"
Video creation was top-notch. Campaign Stars employ a network of designers, marketers, survey experts and more and can call upon them for your project. We loved that animated videos they created - incredible work with minimal hand-holding required. Not much to dislike - these are experienced marketers who know how to work well with small and larger B2B-focused companies. Very friendly, easy to work with, sharp team! There really wasn’t anything to dislike. You can try and build your own marketing and ABM engine that is kind of like building your own power generator in your back yard or plug into Campaign Stars’ grid. Flip the switch and you have an always on series of programs and access to cutting edge technology to power your customer acquisition needs. "Success working with Campaign Stars"
They've developed content experiences that are getting our prospects to consume our content and respond to our messaging. The CS team has been suggesting and writing copy we can use across website,,email and LinkedIn. Not much! They move quickly and keep pace with our evolving needs. They guys at Campaign Stars are ABM experts, they truly understand how to run successful ABM programs from targeting the right accounts through developing tailored messaging. I appreciate the ease of doing business with them. Their programs really help turn data into pipeline! I am still trying to poke holes in what they do... I'll keep you posted. "Wide Variety of Services, High Quality Partner"
My experience to date with Campaignstars has been very positive. They were able to quickly understand our business, needs and objectives and help us move quickly to plan proven tactics, execute deliverables and meet milestones. The only comment I'd make is more neutral - simply haven't fully completed a full quarter of programs with Campaignstars yet. "Opened our eyes to Marketing Potential"
Ala Carte products with expert guidance on where we will get the most long-term value for our spend. We haven't had any issues with Campaign Stars and recommend. Henry has proved to be a valued partner to growing our business. Along with the products they provide you get Henry's breadth of experience. "Account Based Marketing on auto pilot!" Campaign Stars ensures that our campaigns execute--all the time. From concept to code and load we never miss a deadline and remain in a continuous dialogue with our customers. We are held to tight timelines! Not a bad thing, but we now have to keep up with approval cycles on a regular basis. Trus me, we are not complaining! The team was incredibly responsive and easy to do business with. There wasn't much to dislike. The survey program they ran for us performed very well resulting in several concrete leads and follow up meetings from our target accounts in just a couple of weeks. "Campaign Stars had put us on the track with an ABM strategy and platform ." This creates results! Improved response rates, enhanced engagement rates, and improved MQLs/SQLs. We elected to use our own outsourced telesales team to follow up on leads, would prefer using Campaign Stars to make it easier and more effective on the follow up calls. This is an excellent organization to work with and to provide scalable results. "Knowledgeable and Capable B2B Marketing Experts"
B2B and Industry experts with relevant experience. Knowledgeable around traditional and ABM approaches. Not using them more frequently to complete additional work. Campaign stars delivered impeccably on the campaign development - webpages, lead gen pages and email campaign execution. Not alot to dislike. Defining the scope and understanding the timeline took a while, but once we had that in place, we were rocking towards launch. "Campaign Stars were able to bring a strategic and analytic approach to our marketing that was missin"
Henry is willing to work through the tough challenges and willing to take the time upfront to ensure success! There wasn't anything done to our dissatisfaction. "Campaign Stars Gave Us the Content and Strategy to Break Into Enterprise"
Not much. Our GTM has a learning curve. "Campaign Stars helps us strategize plays that move deals forward"
Fast and agile with quick responses. Great partner! Henry was great and why we stayed with them. 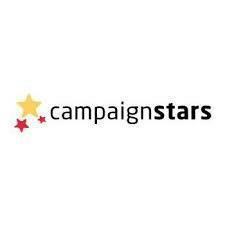 * We monitor all Campaign Stars reviews to prevent fraudulent reviews and keep review quality high. We do not post reviews by company employees or direct competitors. Validated reviews require the user to submit a screenshot of the product containing their user ID, in order to verify a user is an actual user of the product. Hi there! Are you looking to implement a solution like Campaign Stars?